The phrase 'useful idiots', supposedly Lenin’s, refers to Westerners duped into saying good things about bad regimes. In political jargon it was used to describe Soviet sympathisers in Western countries and the attitude of the Soviet government towards them. Useful idiots, in a broader sense, refers to Western journalists, travellers and intellectuals who gave their blessing – often with evangelistic fervour – to tyrannies and tyrants, thereby convincing politicians and public that utopias rather than Belsens thrived. In part one John Sweeney looks at Stalin's Western apologists. In part two he explores how present day stories of human rights abuses across the world are still rewritten. In 1952 Doris Lessing, a British writer who has since won the Nobel Prize for Literature, was part of a delegation visiting the Soviet Union. She was not the only one. The Irish playwright George Bernard Shaw and American journalist Walter Duranty were some of those people who also visited the Soviet Union. They mingled with political leaders, were escorted into the countryside by Joseph Stalin’s secret police, and returned home to speak and write of ‘a land of hope’ with ‘evils retreating before the spread of communism’. However as stories mounted of mass murder and starvation in parts of Russia and the Ukraine, reporters such as Gareth Jones and Malcolm Muggeridge investigated and reported on ‘the creation of one enormous Belsen’. Duranty responded with an article in the New York Times headed ‘Story of the famine is bunk’, and got an exclusive interview with Stalin. Soon after, Jones died and Muggeridge’s career nose-dived. Duranty was awarded a Pulitzer. How can intellectual curiosity transform into active promotion of a dangerous lie? Why so many ‘useful idiots’? 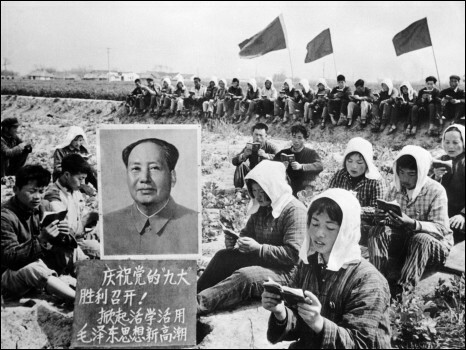 But the veteran British politician Tony Benn argues that Mao played a significant role in building China's global importance and economic power - and that his actions - both good and bad - must be seen in historical context. From Mao’s China, General Pinochet’s Chile, Apartheid-controlled South Africa, Saddam Hussein’s Iraq, to President Ahmadinejad’s Iran, why – and how – have so many supposedly intelligent people been manipulated by dictators into saying good things about bad regimes?